Srinagar is famous for its gardens, lakes and houseboats and Dal Lake is very famous lake. 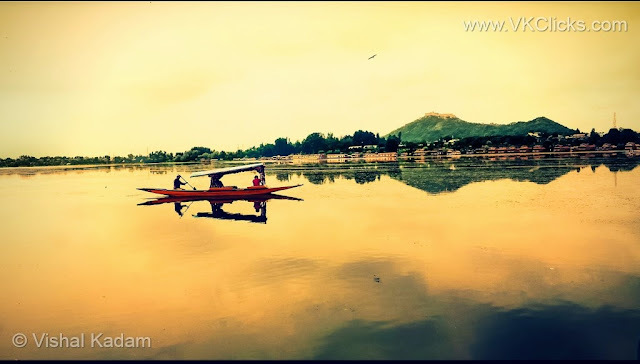 It is the main attraction of Srinagar.Dal Lake is a one of the most beautiful lake of Srinagar and it covers an area of 18 square kilometers. Dal Lake is not only famous for its beauty, but for its vibrance, and it is associated with Srinagar’s culture and their life.Most visitors to Srinagar stay out on Dal Lake in the delightful houseboats and enjoy the lake views, because stay in a houseboat is an experience of a life time. We can hire shikaras for tours around the lake, for visiting floating gardens or to take pleasurable ride in Dal Lake.Shikara ride is one of the most soothing and relaxing boat ride in Dal lake.Shikara is the small boats which is a transportation for getting back and forth from the houseboats. It is used by local peoples to selling their merchandise from house boat to house boat.